Cynthia Crawford is a speaker, writer, and ministry consultant specializing in youth, urban, and women’s ministry. She has spent over twenty years serving in various ministry roles including Director of Youth Discipleship and Campus Youth Director for a multi-location church. 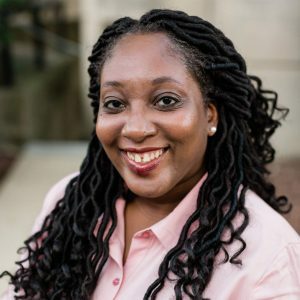 She holds a Masters of Christian Studies and a Masters of Divinity from Luther Rice College & Seminary and has completed a Certificate in Urban Youth Ministry. She currently works for Christianity Today as Assistant Editor of SmallGroups.com and WomenLeaders.com. She also serves as an administrator for Entrusted Women, a network that exists to increase and create opportunities for Christian women communicators of color.